Welcome to the Scott Regional Technology Center. At Scott Tech. we look forward to working with students and continuing our partnerships with business, industry and the surrounding communities. 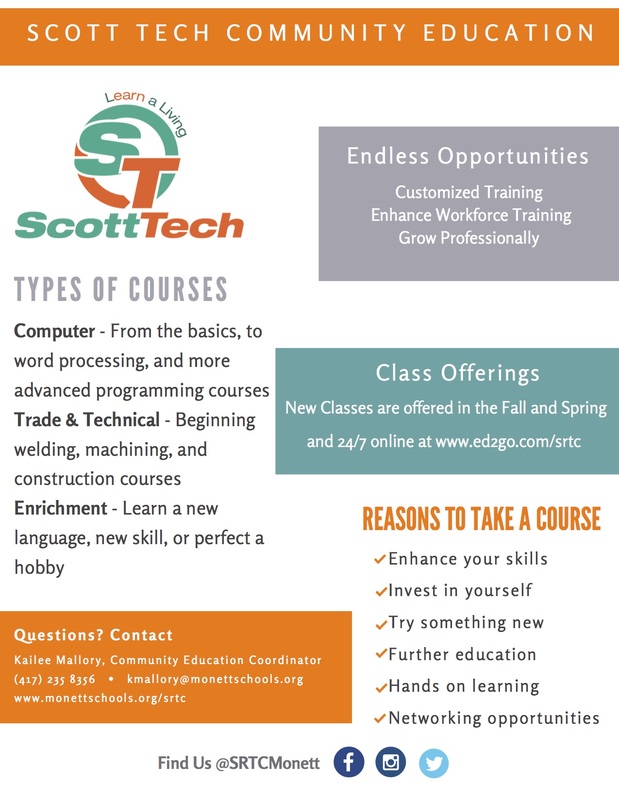 Please take a moment to look at all the opportunities Scott Regional Technology Center has to offer. The Center serves 14 surrounding school districts with a variety of programs of study. Please take time to explore all of the programs. I believe you will find that Scott Tech employs an outstanding faculty, all of which have many years of experience outside of education in their respective fields. The practical knowledge and experiences that the teachers have to offer within their respective programs are invaluable. You will also find that Scott Tech is one of the finest educational facilities in the state of Missouri. 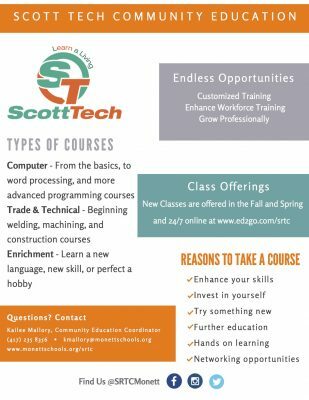 Our facility uses state of art equipment and technology to help make the educational experience at Scott Tech one that is current to today’s work and industry standards. Scott Tech is committed to preparing our students for an ever-changing world.